Find My Workspace lists over 95% of the business centres market in Wallsend. Simply click Request Quote to check pricing for one office, or Add to Basket for multiple offices. 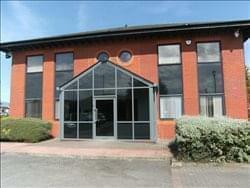 This is a contemporary, well designed business centre set within attractive parkland. It is a very desirable location, with ample car parking and a range of high quality, professional office suites available to let. All workspace is set over 5 floors, is fully furnished, 24 hour access, decorated and serviced, with telephone and IT systems fitted. Fantastic on site facilities include a cafe, a brand new gym with state of the art equipment and fitness studio, three dedicated personal trainers and classes throughout the day, 7 days a week. All classes are included in membership, and also on site are well equipped meeting rooms, kitchen areas and a welcoming reception area. The business park provides nine individual office buildings in an attractive landscaped courtyard setting with on-site car parking. Most offices are to let as self contained suites and benefit from central heating, suspended ceilings with recessed lighting, perimeter trunking, kitchen and WC facilities and are carpeted throughout. 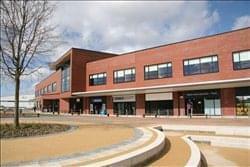 The development is on the fringe of Silverlink Retail Park where there is a good range of shops and food outlets. These brand new serviced offices in Newcastle have a spacious reception area with seating & plasma screen TV. Next door is Nahavo Coffee Shop where you can purchase hot and cold drinks and snacks throughout the day. There is dedicated car parking for clients and visitors. which can only be gained access to using a fob or our intercom system. 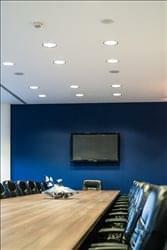 All of the offices are of an extremely high spec with air conditioning and control panel in every office. These newly built offices are situated at the heart of this Business Park which is an excellent location for any business to grow.